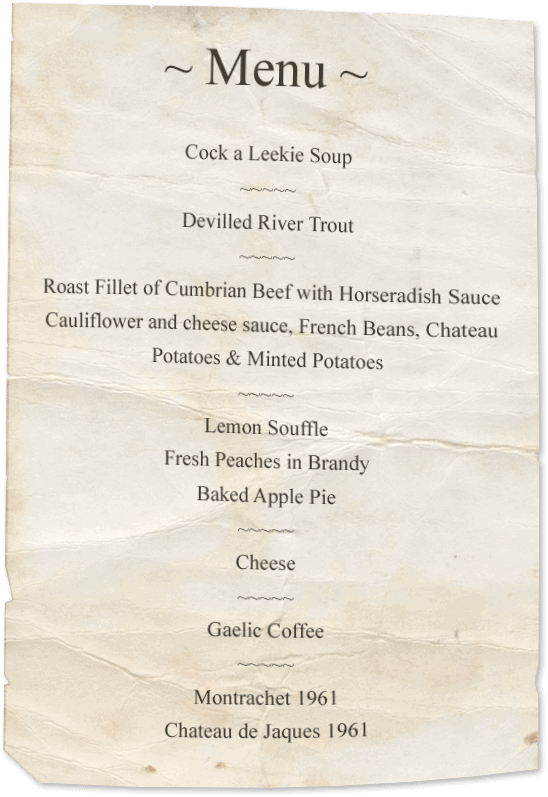 The Trout Hotel has catered for some very famous guests in it’s time! There are Hollywood stars and then there are legends like Bing Crosby. His legacy has spanned almost a century and his songs will forever be remembered and adored. He taught us to dream of a ‘White Christmas’ and ‘Blue Skies’ and to ‘Swing on a Star’. But what some may not know is that the beloved baritone also sang the praises of The Trout Hotel back in the 1960’s. 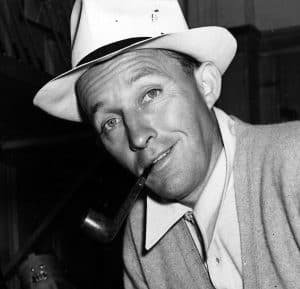 During World War II and several years later Bing Crosby – or Harry Lillis Crosby as he was born – was the biggest and most loved entertainer the US had ever known. He won over fans with his laid-back, charismatic nature and smooth jazzy vocals. At one time he was the number one actor at the box office, the leading recording artist in the world and the host of the biggest radio show in America. It’s like he was a combination of George Clooney, Michael Bublé and Dermot O’Leary all at once! The early stages of his career in the 1930’s coincided with the invention of recording equipment such as the microphone. This led him to develop a warm, intimate singing technique that later saw him define the crooning tradition. Some of the big names that later followed him – Frank Sinatra and Dean Martin to name but a few – were inspired by his jazzy vocals and smooth style. In the 1930’s, The Trout Hotel was part of the private estate of Lord Egremont. It was also when the USA plunged into the economic devastation and World War II was looming. People were struggling to get by and the troops stationed overseas deeply wanted to be reminded of home. His songs gave a little hope in a time of hardship. Away from Bing’s career, fishing and golf were his passions. And he died doing what he enjoyed the most. He took his last breath aged 74 on a golf course outside Madrid, Spain, after completing a tour of England with a sold-out concert at the London Palladium. 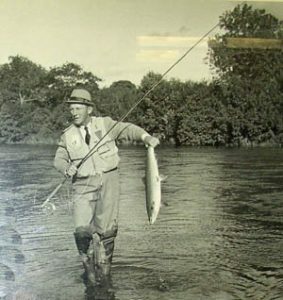 In the summer of 1966, Bing Crosby and his wife Kathryn came to stay at The Trout Hotel so he could fish for salmon in the nearby River Derwent. However, even though Bing was of English and Irish descent, his family roots weren’t what drew him to this scenic corner of the world on this occasion. He was here to film an episode of the series ‘The American Sportsman’ for ABC-TV. The arrival of Bing Crosby in the Lake Distrct was an extremely exciting time for the residents of Cockermouth. They went out of their way to catch a glimpse of the famous crooner and the hotel staff were also very excited to meet an international icon. But his fishing trip did not get off to the greatest of starts, as the salmon also seemed a little star struck. “Almost everyone in Cockermouth stood around in the rain all week, waiting anxiously for Lord Egremont’s guest to catch a fish. However, as the days passed something seemed to be amiss with American sportsman Crosby, or else with England’s River Derwent. “Every morning at 7am, Bing strode off into the drizzle followed by a gaggle of cameramen, and every evening he strode back, soggy and empty-creeled. ‘It’s getting kind of hard work, but they’ll come,’ he said, rallying his TV troops whose spirits were dampened along with everything else. “After a week of this, the fish did come. They were trout (the film was to have been about salmon fishing, but by that time a respectable goldfish would have satisfied). The American sportsman took several and then got off to Doncaster in plenty of time for the St. Leger, where the action was considerably brisker and he won 17 pounds”. It’s getting kind of hard work, but they’ll come. As you can imagine, many of Cockermouth’s residents have very fond memories of Bing Crosby in the Lake District. 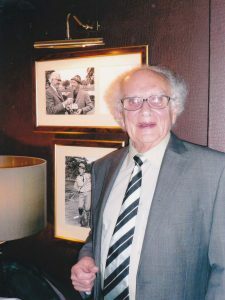 Retired freelance photographer Mr Ivor Nicholas (pictured here in 2014) was hired to take official pictures of the fishing trip. He was kind enough reveal a few details about the time he followed Bing Crosby in the Lake District as he travelled around various fishing beats along the River Derwent over 50 years ago. “There was a lot of local speculation about how the large fish ended up on the end of Bing’s line but I’m sentimental enough to believe he caught it himself”, he said affectionately. A few years ago, before the floods, pictures of the legendary Bing Crosby adorned the walls of The Trout’s main bar alongside a copy of a menu that was served to him one night in 1966. Now, we don’t know how Bing Crosby liked his steak but what we do know is that we try and treat all of our guest like American royalty when they come to stay with us. If you would like to re-enact the time spent by Bing Crosby in the Lake District, please contact us to book a stay. We can also provide you with information on the best fishing areas in the Lake District and Cumbria.